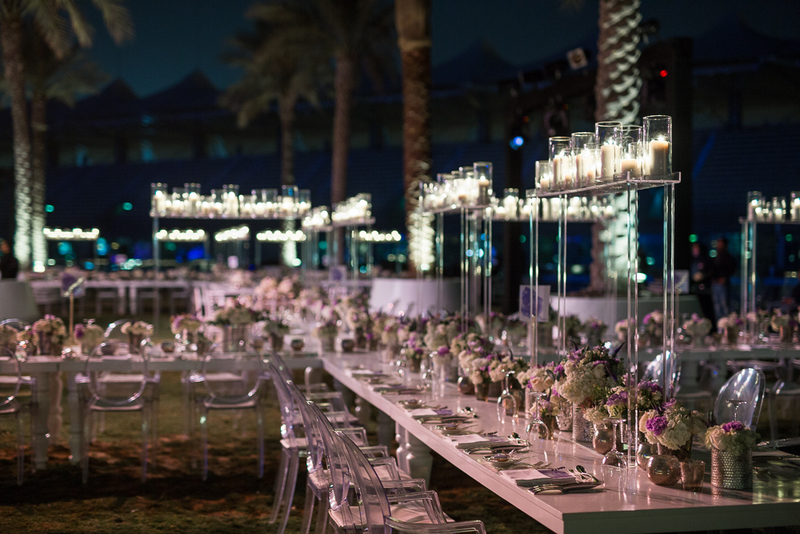 With views of the infamous Abu Dhabi F1 racing track and the sci fi facade of the Viceroy hotel, Tarek and Nour’s wedding was blend of modern and classic. 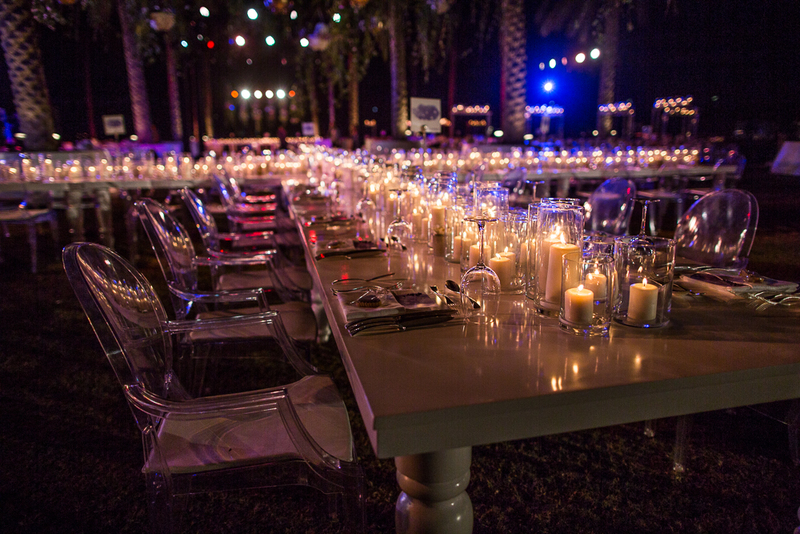 Tables were laid out with geometric precision in large crosses and covered with hundreds of pillar candles. 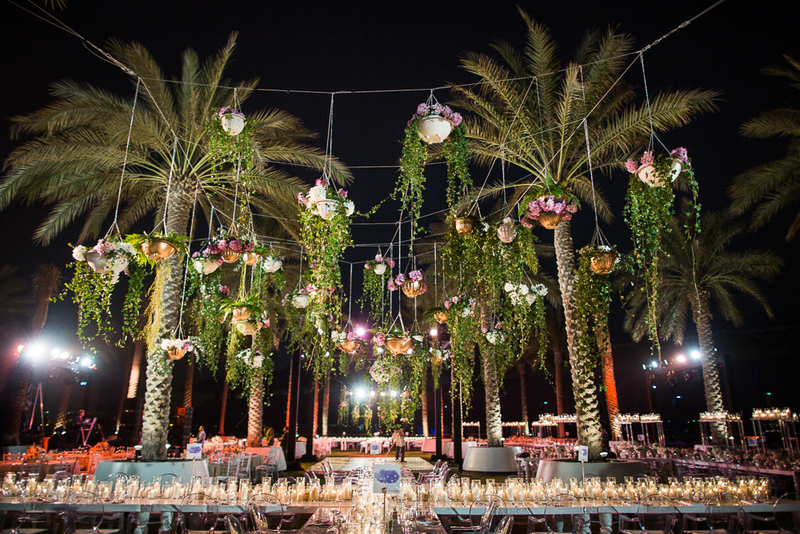 Instead of traditional arrangements, hanging gardens of roses, ivy, ferns and hydrangea were suspended over the tables.